Wonderful holiday in a beautiful apartment. Friendly and helpful people, clean and well furnished and equipped, and we could use wifi.Volgend year we will definitely go back if only for climbing but with the car and the beautiful scenery and natural beauty of Burserberg what Austria has to offer. Lovely, comfortable apartment with 5 beds. It consists of 2 rooms with balcony. Owner is very friendly and helpful. Many quality for low price with good cuisine. "The only problem is that on a hill and just a bit awkward to take the skis to the ski slope to go. Walking to the village to do and there was a shop down the mountain, which is easily accessible on foot or by car. ANNEMARIE Haus offers you much peace and privacy. The friendly hostess you really only see when you arrive. If there is anything you can always contact her at night. The apartment is neat and clean care. 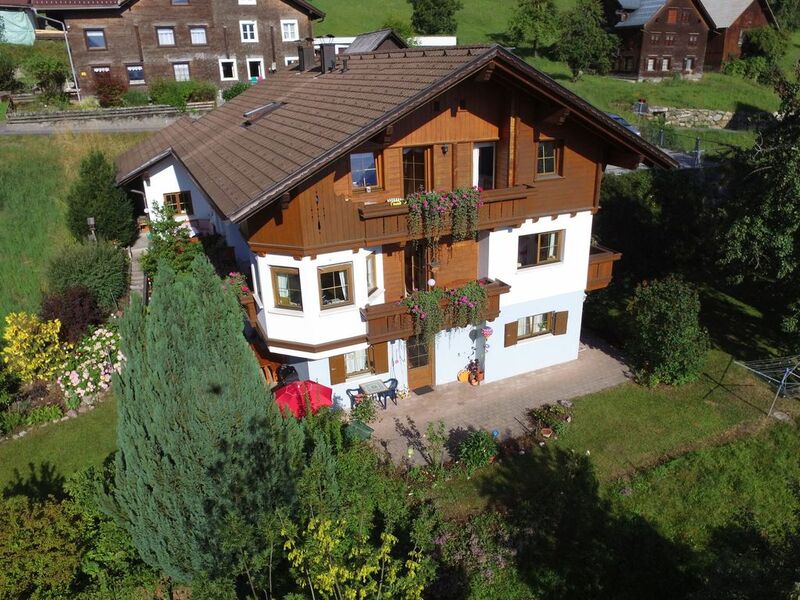 From the balcony you have magnificent views over the city Bludenz. Burseberg is a good base for several walks. The ski is versatile, not too big. Definitely a place to consider going back. Have a very nice week spent in the apartment, which was a positive surprise. It is much larger than expected and provides enough comfort. Dier landlords are very nice, helpful, but let a perfectly calm. Disadvantage is still missing cellar with heating for ski boots. And there is underfloor heating in the apartment, you get the bad ski clothes dry. But otherwise all the best. Eine sehr schöne, saubere und gemütliche Ferienwohnung. Wir waren mit zwei kleinen Kindern da und haben uns alle sehr wohl gefühlt. Der Ausblick ist natürlich das Highlight. Von der Spülmaschine und der Küchenausstattung waren wir begeistert. Absolut empfehlenswert! !